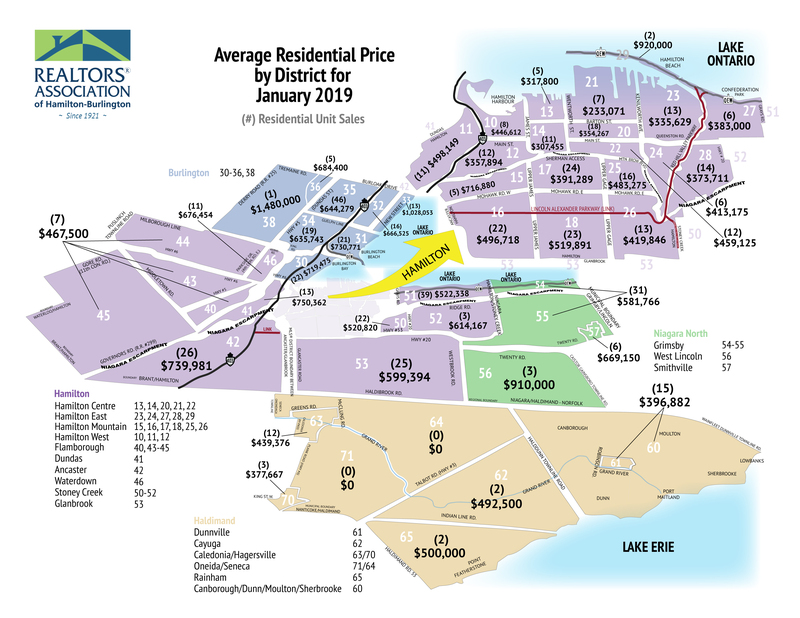 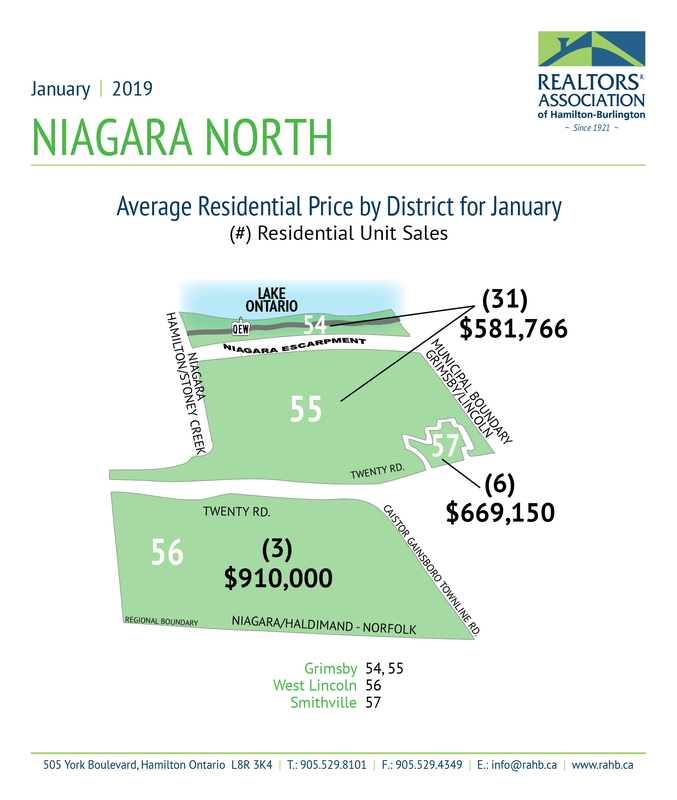 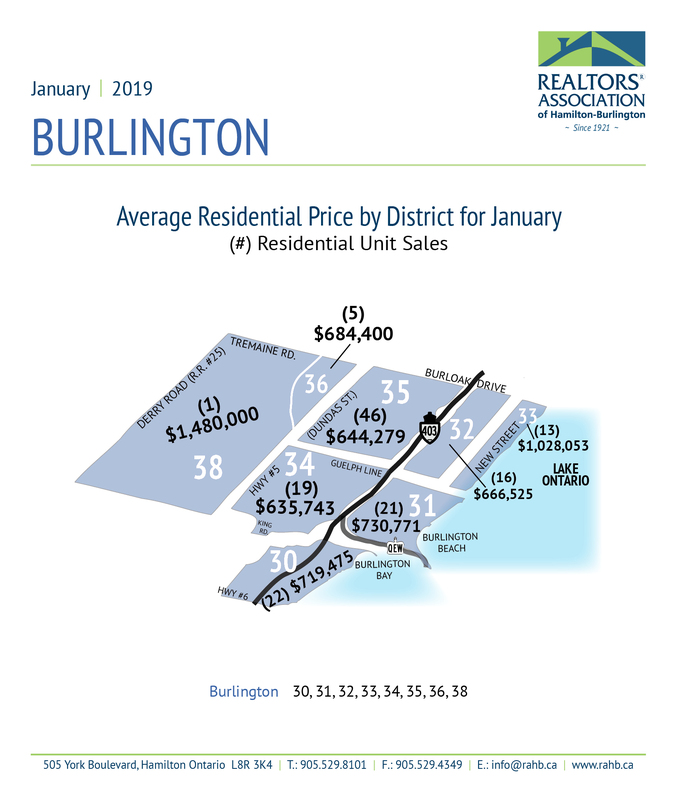 Hamilton, ON (February 4, 2019) – The REALTORS® Association of Hamilton-Burlington (RAHB) reported 593 sales of residential properties located within the RAHB market area were processed through the Multiple Listing Service® (MLS®) System in January, 2019. 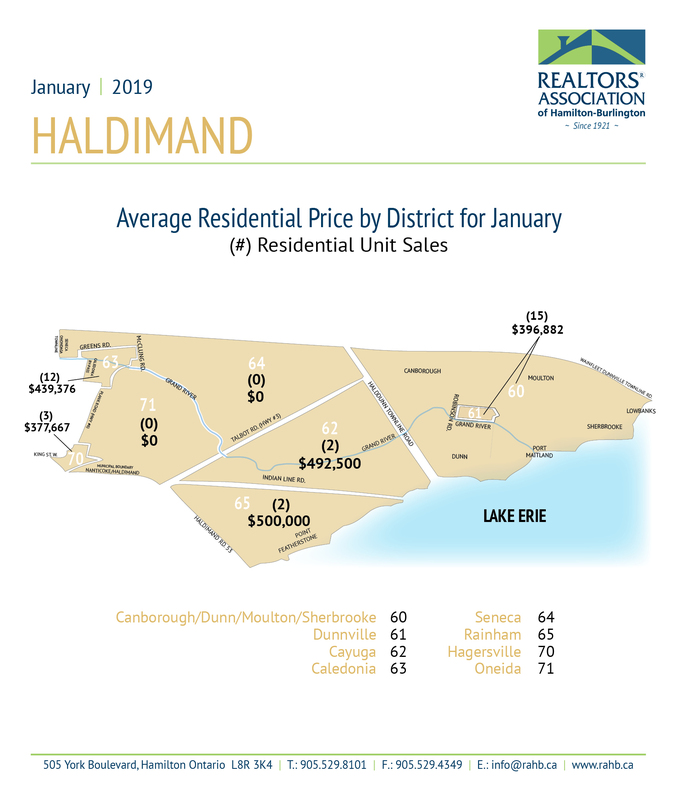 This is a 3.6 per cent drop from the same month last year. 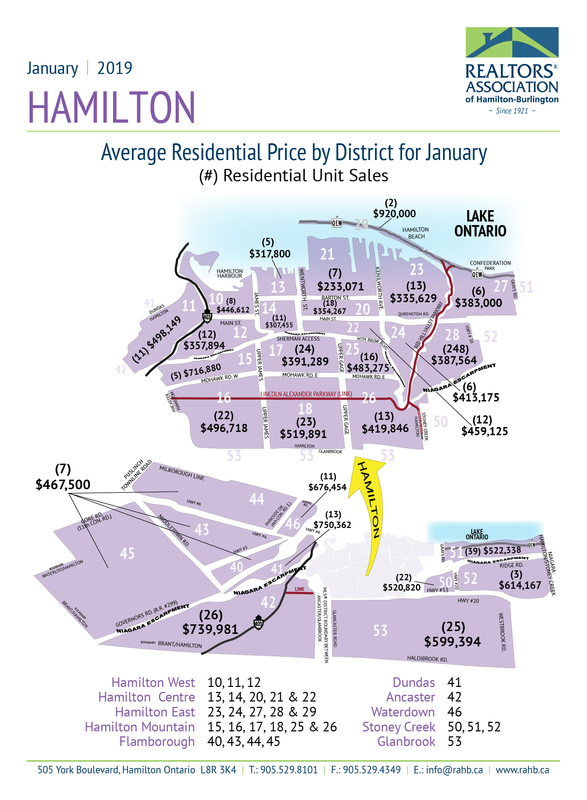 The average price was up by 4.7 per cent to $550,058.